I'm sure you've already seen Angel Locsin's Myra-E TV Commercial on local channel. But in case you haven't been watching too many tv commercials lately, let me share you Angel Locsin's Myra-E TV commercial photo stills. Angel Locsin looking bubbly and cheerfully. 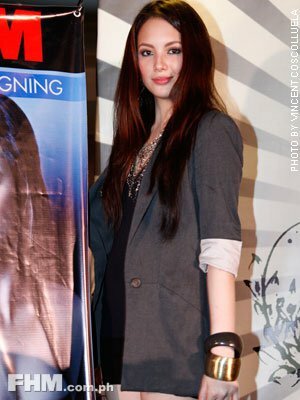 The newest crush ng bayan, Ellen Adarna during the FHM Autograph Signing last December 10 at the Robinson's Movie World. I was able to read the profile of Ellen Adarna on FHM pages and looks like that she's more on the misunderstood type of girl. Being raised in a high society with conyo friends and the like. She's really close to guys than girls, which explains her photos with different guys. They didn't take on her Ellen Adarna's scandalous pictures though. Must have been one of her secrets. But hey, she's famous because of that. Look at her now, she's a contract star of GMA Kapuso. Hope to see more of Ellen Adarna this coming 2011. Happy New Year's to All! For some reason, an anonymous member of PCF has submitted this Bangs Garcia photo while in the hospital without any make up on and currently attached to a dextrose. I'm not sure on the cause of her hospitalization but it's worth to share. Bangs Garcia at her not very best state, yet still looking hot. From Pop Cola commercial, Solenn Heusaff is now the newest ambassador of Coke Zero. That's one of the perks being in the Survivor Philippines Celebrity Edition. Way to go Solenn Heusaff. We're happy for you! 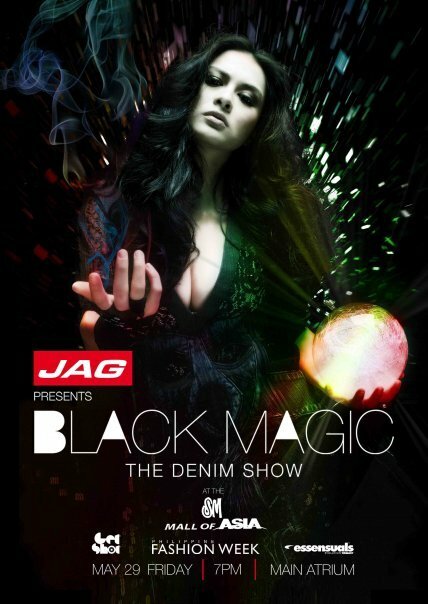 Some time ago, we've already featured Marian Rivera on JAG Black Magic Denim Show. I think that was more than a year ago. And since Marian Rivera stars on MMFF 2010 on 'Super Inday and the Golden Bibe', we thought it worth posting additional Marian Rivera on JAG Black Denim Magic show. Little Ms. Perfect Georgina Wilson on the cover of Cosmopolitan Magazine December 2010 issue. I'd say, she must be a real catch for Borgy Manotoc. A lot of guys would die to be in your place. 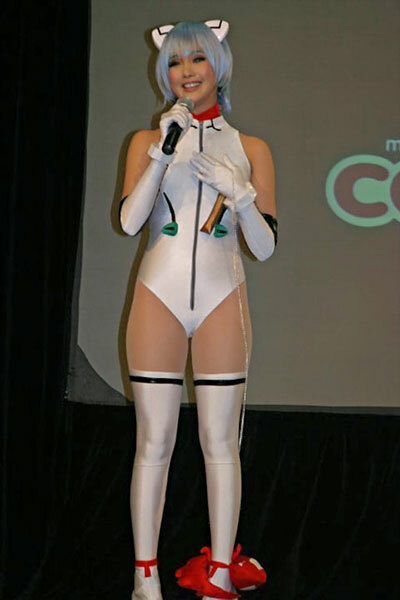 Cosplay queen Alodia Gosengfiao playing as Rei Ayanami.